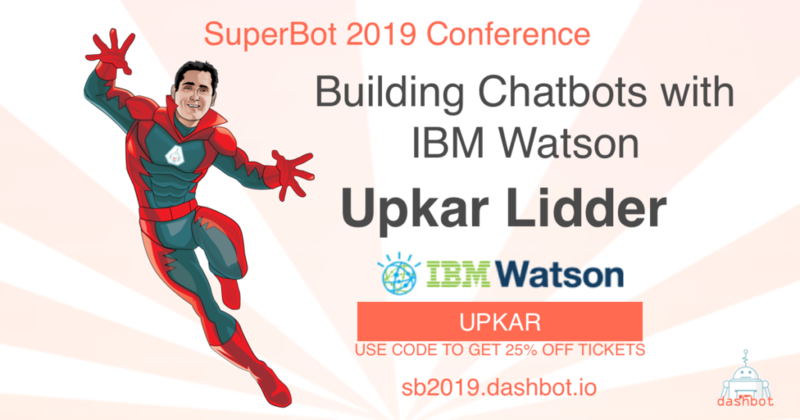 At SuperBot 2019, fullstack developer and self-described data wrangler Upkar Lidder will be leading a demonstration on building your own chatbot using IBM Watson. Upkar designs and builds mobile and web solutions tailored to excite users. He has been with IBM for over ten years, starting out as a media solutions developer before becoming a support engineer, where he provided customer care for the IBM Lotus Forms suite of products. Currently, Upkar is a Developer Advocate, where he develops first class developer scenarios and demo applications, collateral, and training materials on top of the IBM platform to demonstrate value. He also works as a community builder, extending the the reach of the developer community by partnering with developers and industry influencers.